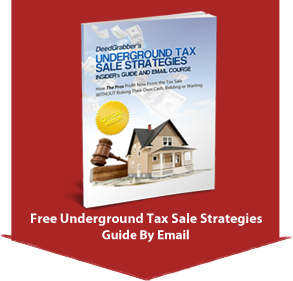 There are several unrealistic expectations that many beginning investors have, when exploring tax lien sales. There are also several risks that need to be managed at all levels of tax lien investment. It’s usually fairly obvious, even to the beginning investor, that tax lien investing involves months or even years of waiting before any properties can be acquired. This is acceptable enough to many – because, after all, the expectation is that many of the tax liens purchased will result in property acquisition. The primary “catch” with tax lien investing, at least for the purpose of acquiring property, is that 95% or more of liens against valuable property, redeem. This isn’t a disaster, by any measure, because above-market interest is earned when liens redeem. However, most lien investors are very disappointed when the handful of liens they buy redeem, after all the work they did to prepare for the sale. The incremental amount of interest earned on tax liens is really very little in real terms, when only a small amount of money is invested in liens. The veteran tax lien investor will either have enough capital to truly benefit from the high interest rates offered, or will use OPM (other people’s money) to make the due diligence and maintenance of the portfolio worthwhile. The other issue that new tax lien investors often discover, only after investing, is that very significant extra capital can be required AFTER the sale to pay for attorney fees, foreclosure costs, and subsequent taxes. Therefore, it’s not as simple as purchasing a lien for $800 and waiting to see if a property is forthcoming. Sums in excess of the original amount paid for such a lien will likely be required to finish the tax lien process. If this additional investment is not properly figured into the investment budget, losses can occur. It costs about the same for a small investor to analyze and perform due diligence on a tax lien list, as it does a large investor. However, the large investor can spread this cost out over many liens, while the small investor can only spread it out over a few liens. This makes the higher interest rates received, of little consequence. On a $20,000 investment, perhaps $2,000 in interest would be received above what a bank would offer. However, due diligence likely cost the investor $2,000 or more in time and money – a break even proposition. And, as discussed early, a bargain property acquisition could not be counted on as a realistic outcome to make up for the expense. The large investor expends the same amount for due diligence and may invest $1 million or more at a single sale, earning $100,000 or more in increased interest. Even if no properties are acquired, the $2,000 expense for due diligence becomes almost insignificant with the volume being purchased. All tax lien investors, even the most seasoned, have to deal with a component of unavoidable risk – even after buying only the best-selected tax liens. By purchasing, or participating in, a large portfolio of liens, these risks can be diversified away to nearly nothing. Mainly, the risks consist of property degradation over the life of the lien (such as a house burning down), or major changes in the local market. One unfortunate lien purchase out of 500 will barely affect the overall return of the portfolio – and is to be expected. One such purchase by a small investor out of 5 liens purchased can be devastating. Experience has shown me that, to profitably invest one’s own money in tax liens, at least $100,000 is required per sale. This volume is required to enjoy enough of the premium interest, to pay for due diligence costs and compensate the investor for additional work and risk that is necessary. It also allows for enough liens to be purchased so that risk is somewhat spread out, and occasional windfall profits can be expected by gettting deed to unredeemed properties. If you wish to participate in tax lien sales but don’t have this amount of capital, consider a partnering arrangement with one or more cash partners – I wrote about a proven arrangement for this in a previous article. Bottom line – tax lien sales are reliable only as a way to invest money for high interest. Bargain properties are truly only “gravy” and should be treated as such. Generally you just Google for any county’s webiste, look for the treasurer, and there you are! At least you’ll come away with a phone number to call if nothing else, but many have lists posted. How much travelling does your system involve? No travelling is necessary. You can get the records you need and do the research you need to do by computer and phone. The whole process from start to finish does not involve travelling unless you choose to.